The stock was up 2% at Rs 146 on the BSE in intra-day trade on Thursday, rallied 11% in past one week, as compared to 0.30% decline in the S&P BSE Sensex. Shares of Oil and Natural Gas Corporation (ONGC) were trading higher for the fifth straight session, rising 2 per cent to Rs 146 apiece on the BSE in intra-day trade after the company reported a strong December 2018 (Q3FY19) result. In past one week, the stock of state-owned oil exploration firm outperformed the market by gaining 11 per cent against 0.30 per cent decline in the S&P BSE Sensex. It recovered 13 per cent from its 52-week low of Rs 129 touched on February 14, 2019, on the BSE in intra-day trade. ONGC reported a 65 per cent jump in net profit at Rs 8,263 crore in Q3FY19, as higher prices made up for a fall in oil output. It had a profit of Rs 5,015 crore in the same period of the previous fiscal. The net sales during the quarter up by 20 per cent at Rs 27,694 crore, as compared to Rs 22,996 crore in previous year quarter. The company got USD 66.38 for every barrel of crude oil it sold in the quarter, 13.6 per cent higher than USD 58.42 per barrel realisation a year ago. Analysts expect the movement in oil prices and the government’s decision on subsidy sharing will decide ONGC’s performance, going ahead. “We have assumed that nil subsidy burden due to decline in oil prices and increased oil subsidy allocation in budget. We model crude oil prices of US$ 65/bbl for rest of FY19E and FY20E, given the current oil market scenario and have built in net realisations of US$ 64.5/barrel for FY20E. However, given the election year uncertainty, inspite lower valuation, we have a HOLD rating on the stock at the current levels with a target price of Rs 153 per share on an EPS of | 22 for FY20E,” analysts at ICICI Securities said result update. “A $60-70/bbl oil price environment in a weak INR environment is broadly positive for the stock price, in our view, as it allows investors to price in a steady earnings outlook without the risk of subsidy burden on the company. ONGC’s gas realizations should increase further into FY20 given the lagged flow through of gas prices,” analysts at JP Morgan said in a report dated February 15. The brokerage firm expects production growth should pick up from here. FY19 saw crude production growth impacted negatively as rig issues impacted production. “As the rig issues are resolved we would expect crude production to pick up materially into FY20,” it added. The brokerage firm, however, maintains ‘overweight’ rating on the stock with a revised target price of Rs 210 from Rs 250 earlier. Analysts at Elara Capital reiterate Buy rating as the brokerage firms expect ONGC to outperform with rising gas supply and prices. 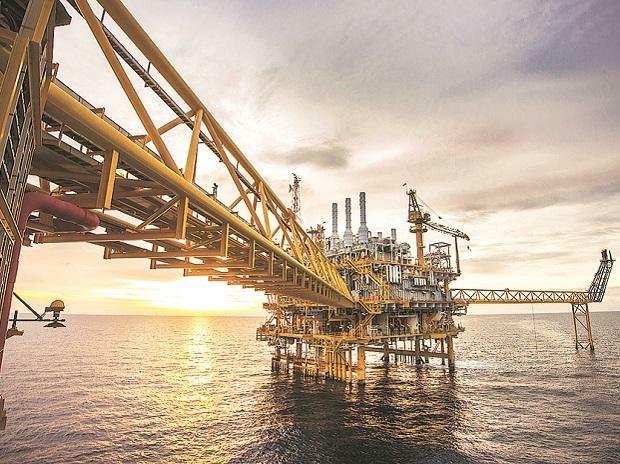 It raise target price to Rs 203 from Rs 196, as it lower long-term oil production, offset by the increase in long-term net crude realization at USD 56/bbl from USD 51/bbl, given the brokerage firm believes lower risk of upstream subsidy burden due to higher FY20 oil subsidy provision of Rs 37,500 crore by the government.